Fickle Prickles is a Perth based cacti and succulent online store that began its journey in late 2007. It was developed through a passion and admiration of all things cacti and succulent. What began as a part time hobby grew to an out of control addiction, and from there a business was born. From humble beginnings, selling at the Kalamunda Markets and Manning Markets, we then went on to develop an online store in early 2009. We specialise in all things cacti and succulents. We also grow perrenial plants suited to miniature gardens and terrariums. as well as supplies to create succulent wreaths and other succulent projects. We deliver to most Perth metro areas. 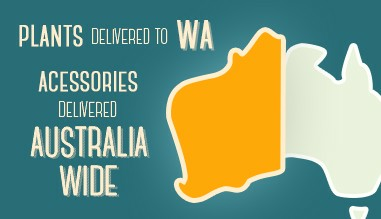 We post to all other areas of Western Australia (WA). Our accessories and miniature fairy garden furniture can be posted to all states and territories in Australia (NSW, QLD, SA, TAS, NT, ACT) (sorry, no plants at this time). We are a small, family owned business, with decades of horticultural experience, and we take pride in producing healthy plants that are grown to suit Western Australian conditions. We use the latest hygienic growing techniques to ensure our stock is pest and disease free and of the best quality. All of our plants are locally grown here in Perth, WA and are suited to Western Australian conditions. All plants are fully established in their pots before becoming available for sale. Fickle Prickles is purely an online store. At this time we do not have a retail outlet and unfortunately, our production nursery in the hills is not open to the public. 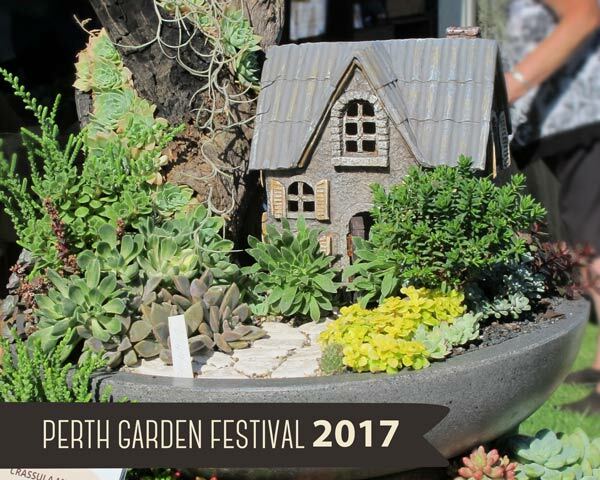 We also produce succulents for Western Australian retail nurseries, florists and landscape designers under the brand name of Succulent ART. 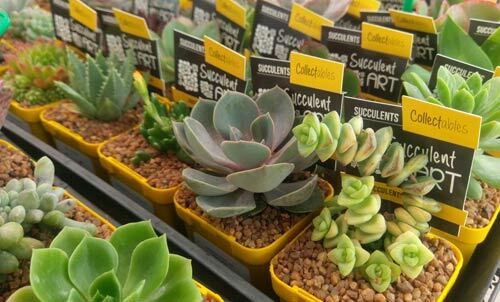 You can visit succulentart.com.au for project ideas, tutorials and succulent care information, as well as a list of where you can buy SucculentART products. 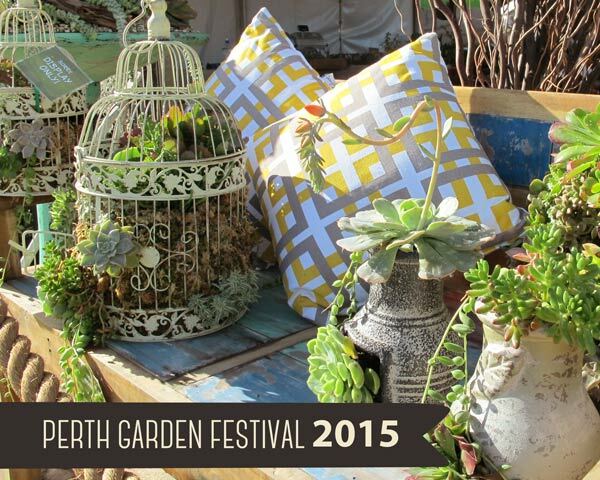 Each year in April we attend the Perth Garden Festival, located at McCallum Park in Victoria Park. We just love being able to see and speak with you all in person. It is something we don't often get to do running an online store. Plus we get the opportunity to get our creative juices flowing and produce some succulent art displays that hopefully inspired collectors old and new. 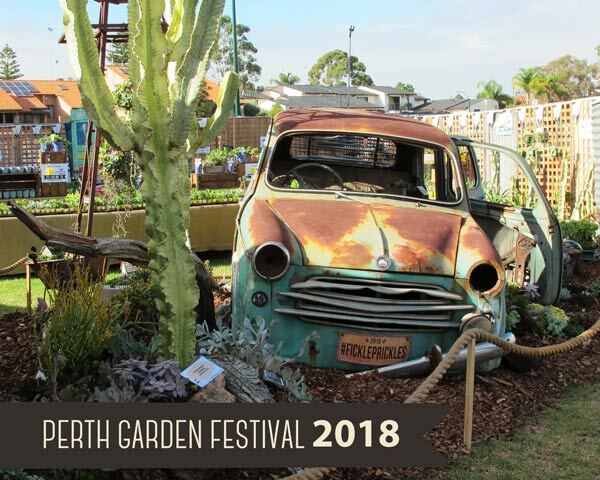 We cannot wait for Perth Garden Festival 2019! Plans are well and truly underway for our display. What will the theme be? You will just have to wait and see! Kaye has been a qualified horticulturist for over 23 years and loves being able to apply her years of horticultural nursery experience into cultivating and growing succulents for Fickle Prickles. 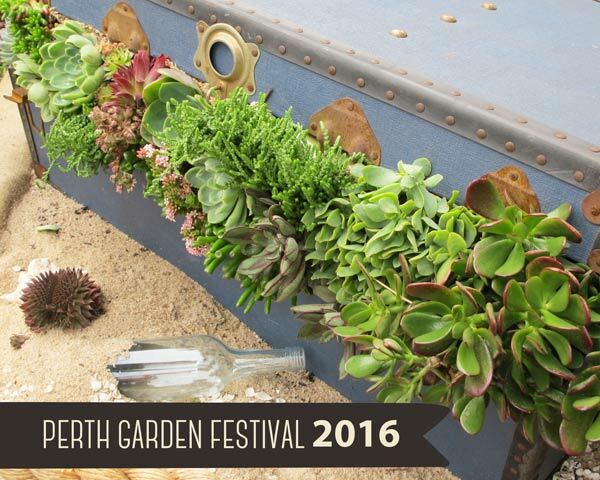 "I saw that in Western Australia there was a real lack of diversity in regards to professionally grown succulents. 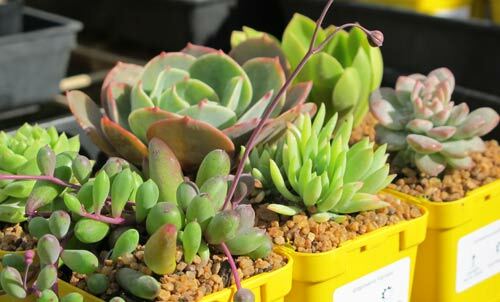 As I was still working full time in 2009, an online store seemed like the perfect way to share my admiration, and supply rare and unusual succulent species to collectors in WA." She truly loves getting her hands dirty, and gets a real kick out of the 'hands on' side of the business. Danni, Kaye's daughter, has over 10 years experience in the retail industry and is a qualified website developer. She has enjoyed developing Fickle Prickles with Kaye from the very start. "To begin with, I had little to no horticultural experience. I always referred to a succulent as 'the green thing with the yellow doo hickeys'. But what knowledge I lacked, Kaye made up for, and vice versa. We really do make a great team." What she really loves about working at Fickle Prickles is the integration of technology into what has been, up until now, a rather traditional practice. "It is great to see that we have spread the addiction to younger audiences, and that would just have not been possible without the help of the internet and social media platforms."